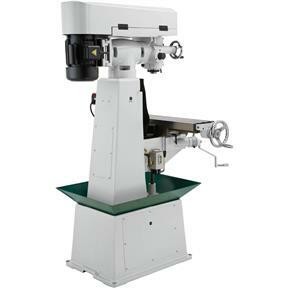 This 8" x 30" Vertical Milling Machine includes all the same features as its 6" x 26" little brother (G0728/G0729), but is constructed with a heavy, one-piece casting for even greater rigidity and an extra 300 pounds of mass. 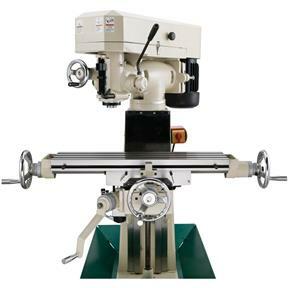 It also accommodates up to a 14" swing and 20" between table and spindle. 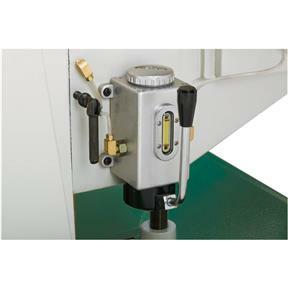 Features a cabinet designed to accept aftermarket coolant systems, making it readily upgradable. Available with or without longitudinal power feed. Max. 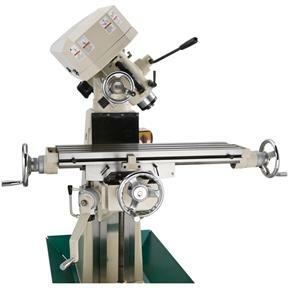 distance spindle to table: 20"
Max. distance spindle to column: 7"
Max. 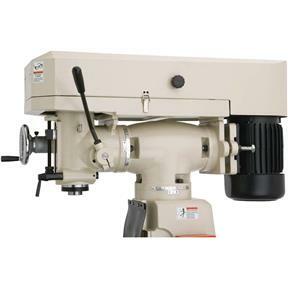 drilling capacity for cast iron: 1"
Approximate shipping weight: 954 lbs. I am still getting up to speed on this wonderful piece of equipment, exceeded expectations. Bought this mill to replace an old 1970s Emco, no not an Enco, and am very pleased with it. 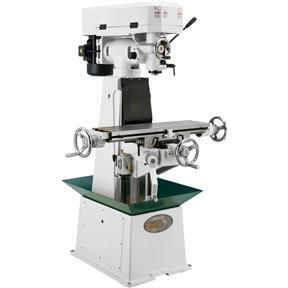 It meets all the needs for my shop, is accurate and seems very rigid. 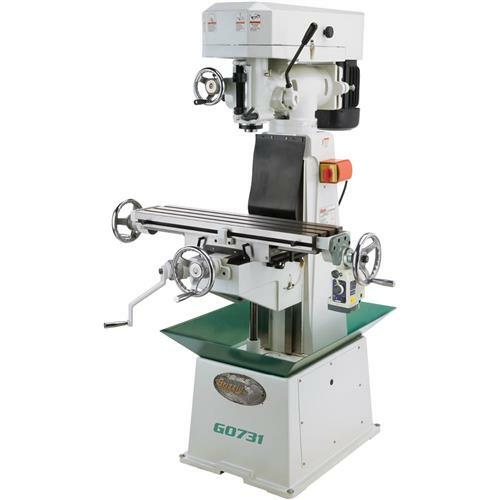 I am currently saving to purchase a new lathe from grizzly to replace two of the 4 older lathes in my shop and gain some floor space back. I have purchased a lot of tools and tooling from grizzly and have been very pleased with all the products so far. The only complaint I have so far is the T nuts that came with the milling vice I purchased would not fit my milling table, but I had extras that did fit so not a huge deal.